Self-determined learning or heutagogy is fast gaining interest from educators around the world interested in an evidence-based approach to learning. Grounded as it is on brain research and extensive research into how people learn self-determined learning is particularly popular among those interested in innovative approaches to learning. This edited book is the perfect primer on self-determined learning or heutagogy. It consists of an introductory chapter explaining the main concepts and principles of this exciting approach to educational practice. This is followed by 16 chapters describing the experience of practitioners in using the approach. These experiences come from a wide variety of interests including school education, higher education, workplace learning, consulting, lifelong learning, training, and community education. Full of links to resources, curated sites,and discussion forums, this is a valuable ‘how to’ book for the interested practitioner and theoretician alike. What follows is my chapter. For a full picture and understand of Heutagogy, I recommend that you purchase the book. The evolution of the web from Web 1.0 to Web 2.0 and now to Web 3.0 can be used a metaphor of how education should also be moving, developing, and evolving from Education 1.0 towards that of an Education 3.0. The Internet has become an integral thread of the tapestries of most societies throughout the globe. The web influences people’s way of thinking, doing and being; and people influence the development and content of the web. The Internet of today has become a huge picture window and portal into human perceptions, thinking, and behavior. Logically, then, we would expect that schools would follow suit in matching what is happening via the Internet to assist children and youth to function, learn, work, and play in a healthy, interactive, and pro-social manner in their societies-at-large. This, sadly, is more often than not the case. Many educators are doing Education 1.0; talking about doing Education 2.0; when they should be planning and implementing Education 3.0. Education 1.0 is a type of essentialist, behaviorist education based on the three Rs – receiving by listening to the teacher; responding by taking notes, studying text, and doing worksheets; and regurgitating by taking the same assessments as all other students in the cohort. Learners are seen as receptacles of that knowledge and as receptacles, they have no unique characteristics. All are viewed as the same. It is a standardized/one-size-fits-all education. Teachers prior to the Internet, as we know it today, were one of the primary gatekeepers of information. Education 1.0 was often the best choice given the resources and technologies of that time in history. Other than libraries and news outlets, students were dependent on the educator to provide them with information. As such, a major role of the educator, similar to the beginning stages of the web, was to provide students with content knowledge in a one-way, often didactic format. 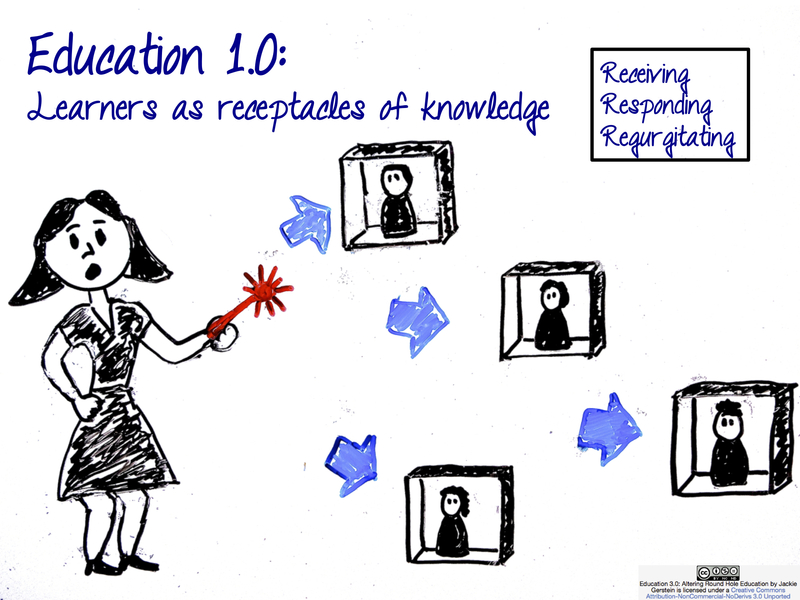 Education 1.0 can be compared to Web 1.0 where there is a one-way dissemination of knowledge from teacher to student. Derek W. Keats and J. Philipp Schmidt (2007) provide an excellent comparison of how Education 1.0 is similar to Web 1.0. 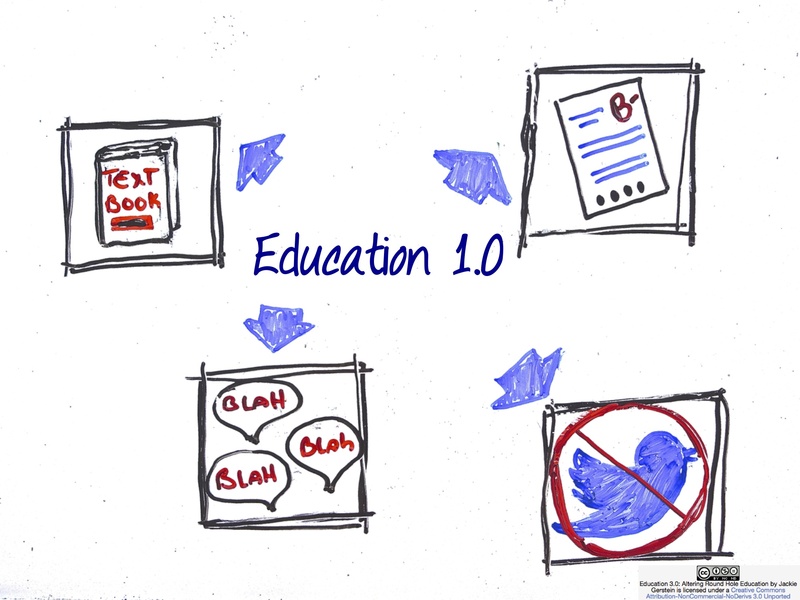 Education 1.0 is, like the first generation of the Web, a largely one-way process. Students go to school to get education from teachers, who supply them with information in the form of a stand up routine that may include the use of class notes, handouts, textbooks, videos, and in recent times the World Wide Web. Students are largely consumers of information resources that are delivered to them, and although they may engage in activities based around those resources, those activities are for the most part undertaken in isolation or in isolated local groups. Rarely do the results of those activities contribute back to the information resources that students consume in carrying them out (Keats & Schmidt, 2007, para. 6). Education 1.0: An Essentialist Philosophy. Education 1.0 can be classified as an essentialism or instructivism teaching and learning philosophical orientation. These educational frameworks or philosophies fit the characteristics of an Education 1.0 or a traditional pedagogical teaching framework. Essentialism tries to instill all students with the most essential or basic academic knowledge and skills and character development. In the essentialist system, students are required to master a set body of information and basic techniques for their grade level before they are promoted to the next higher grade. Essentialists argue that classrooms should be teacher-oriented. The teachers or administrators decide what is most important for the students to learn with little regard to the student interests. The teachers also focus on achievement test scores as a means of evaluating progress (Essentialism, n.d., para. 1). In the instructivist learning theory, knowledge exists independently of the learner, and is transferred to the student by the teacher. As a teacher-centered model, the instructivist view is exhibited by the dispensing of information to the student through the lecture format. This theory requires the student to passively accept information and knowledge as presented by the instructor (Pogue, 2009, para. 2). There is little doubt that the most dominant form of instruction in Europe and America is pedagogy, or what some people refer to as didactic, traditional, or teacher-directed approaches. The pedagogical model of instruction was originally developed in the monastic schools of Europe in the Middle Ages. Young boys were received into the monasteries and taught by monks according to a system of instruction that required these children to be obedient, faithful, and efficient servants of the church (Knowles, 1984). In the pedagogical model, the teacher has full responsibility for making decisions about what will be learned, how it will be learned, when it will be learned, and if the material has been learned. Pedagogy, or teacher-directed instruction as it is commonly known, places the student in a submissive role requiring obedience to the teacher’s instructions. It is based on the assumption that learners need to know only what the teacher teaches them (Hiemstra & Sisco, 1990, para. 2-3). Access information via ebooks and websites, but these often lack any type of interactivity or capabilities for the learner to comment, share, or interact with the content. Watch, learn, and take notes from live and/or video lectures that focus on didactic dissemination of content and information. Education 2.0, like Web 2.0, permits interactivity between the content and users, and between users themselves. With Web 2.0, users moved from just accessing information and content to being able to directly interact with the content through commenting, remixing, and sharing it via social networks. Web 2.0 also saw the development of social media which permits users to communicate directly with one another synchronously and asynchronously. Similar to Web 2.0, Education 2.0 includes more interaction between the teacher and student; student to student; and student to content and expert. Education 2.0 has progressive, humanistic roots where the human element is important to learning. The teacher-to-student and student-to-student relationships are considered as part of the learning process. Education 2.0 focuses on the three Cs – communicating, contributing, and collaborating. Education 2.0 happens when the technologies of Web 2.0 are used to enhance traditional approaches to education. Education 2.0 involves the use of blogs, podcasts, social bookmarking and related participation technologies but the circumstances under which the technologies are used are still largely embedded within the framework of Education 1.0. The process of education itself is not transformed significantly although the groundwork for broader transformation is being laid down (Keats & Schmidt, 2007, para. 7). 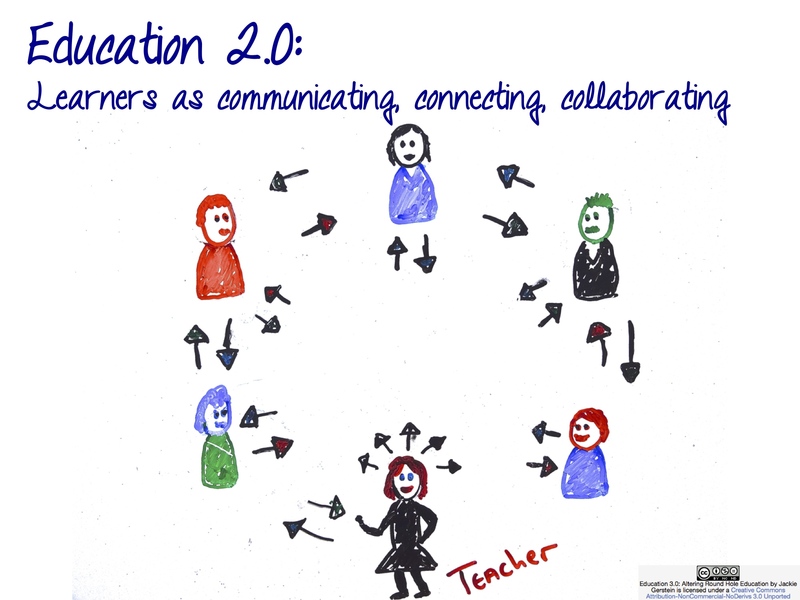 Some school administrators and educators have taken steps and moved into a more connected, creative Education 2.0 through using project-based and inquiry learning, cooperative learning, global learning projects, Skype in the classroom, and shared wikis, blogs and other social networking in the classroom. With Education 2.0, the teacher, though, is still the orchestrator of the learning. S/he still develops the learning activities and is the facilitator of learning. Education 2.0: An Andragogical, Constructivist Approach to Teaching and Learning. Education 2.0 takes on the characteristics of an andragogical, more constructivist teaching orientation where the principles of active, experiential, authentic, relevant, and socially-networked learning experiences are built into the class or course structure. Andragogy has been described for teaching adult learning, but basic principles can be extracted from Andragogy and applied to the teaching of most age groups. The andragogical model is a process concerned with providing procedures and resources for helping learners acquire information and skills. In this model, the teacher (facilitator, change-agent, consultant) prepares a set of procedures for involving the learners in a process that includes (a) establishing a climate conducive to learning, (b) creating a mechanism for mutual planning, (c) diagnosing the needs of learning, (d) formulating program objectives (content) that will satisfy these needs, (e) designing a pattern of learning experiences, (f) conducting these learning experiences with suitable techniques and materials, and (g) evaluating the learning outcomes and re-diagnosing learning needs (Holmes & Abington-Cooper, 2000, para. 17). Project-based learning with a focus on authentic, real world problems, networked learning, and use of collaborative digital tools would fit into an Andragogical orientation. A growing number of educators are heralding the arrival of an era of technology-enhanced PBL. Using educational software and online tools to promote learning is nothing new in most schools. Many teachers remember the days of steering students to educational internet sites and having them present reports in PowerPoint. Now, teachers and students can choose from an ever-expanding cornucopia of digital tools that enable a new level of collaboration, analysis, and presentations (Schachter, 2013, para. 6). These representations represent that complexity of the real world. Knowledge construction is emphasized over knowledge reproduction. Learners participate in authentic tasks in meaningful contexts. Real world settings are provided. Thoughtful reflection on experience is encouraged. Collaboration and social negotiation is encouraged among learners. There’s an integration and activation of prior knowledge. Web 3.0 is affording us with relevant, interactive and networked content that is freely and readily available and personalized based on individual interests. Web 3.0 will provide users with richer and more relevant experiences. Many also believe that with Web 3.0, every user will have a unique Internet profile based on that user’s browsing history. Web 3.0 will use this profile to tailor the browsing experience to each individual (Strickland, 2008, para. 15). Web 3.0 will be able to search tags and labels and return the most relevant results back to the user (Strickland, 2008, para. 30). Education 3.0 is based on this understanding – a personalized, self-determined education. Education 3.0 is self-determined, interest-based learning where problem-solving, innovation, and creativity drive education. Education 3.0 is characterized by educational opportunities where the learners themselves play a key role as creators of knowledge artifacts that are shared, and where social networking and social benefits play a strong role in learning. The distinction between artifacts, people and process becomes blurred, as do distinctions of space and time. Institutional arrangements, including policies and strategies, change to meet the challenges of opportunities presented. There is an emphasis on learning and teaching processes with the breakdown of boundaries (between teachers and students, institutions, and disciplines (Keats & Schmidt, 2007, para. 9). 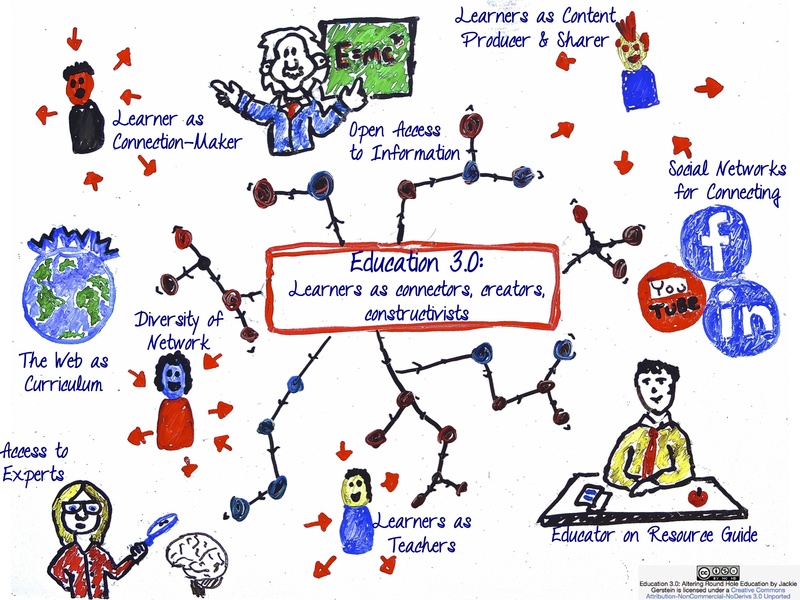 Education 3.0 is also about the three Cs but a different set – connectors, creators, constructivists. These are qualitatively different than the three Cs of Education 2.0. Now they are nouns which translates into the art of being a self-determined learner rather than “doing” learning as facilitated by the educator. The learners become the authors, drivers, and assessors of their learning experiences with the educator truly being the guide on the side. In the absence of a more relevant learning process in schools, our nation’s students increasingly are taking their educational destiny into their own hands and adapting the various tools they use in their personal lives to meet their learning needs and prepare themselves for the future, according to the 2009 Speak Up survey of 300,000 students nationwide. 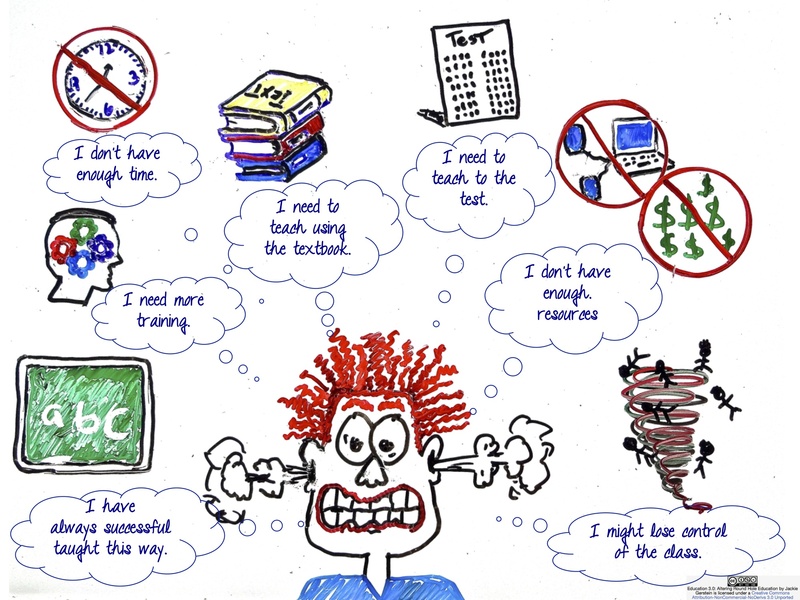 This “free-agent learner” student profile accurately depicts the way many of today’s students are approaching learning. For these students, the school house, the teacher and the textbook no longer have an exclusive monopoly on knowledge, content or even the education process. These students are leveraging a wide range of learning resources, tools, applications, outside experts and each other to create a personalized learning experience that may or may not include what is happening in the classroom (Project Tomorrow, 2010, p. 1). Learners already possess many skills related to self-determined learning due to their informal learning experiences interacting with the web. Educators can and should assist learners in transferring these abilities and skills in more formal learning settings. With Education 3.0, the educator’s role truly becomes that of guide-as-the-side, coach, resource-suggester, and cheerleader as learners create their own learning journey. The educator has more life experience, knows (hopefully) about the process of learning, and has more procedural knowledge about how to find, identify, and use informational resources and social networking for learning purposes. Not only, then, does the educator help steer students in some more productive directions, s/he models the process of self-determined learning increasing the students’ aptitude for this type of learning. Learners, themselves, also become mentors, teachers, and model learners for one another sharing best practices and strategies for effective learning. Education 3.0: A Heutagogical, Connectivist Approach to Teaching and Learning. Education 3.0 is a more of a heutagogical, connectivist approach to teaching and learning. The teachers, learners, networks, connections, media, resources, tools create a unique entity that has the potential to meet individual learners’, educators’, and even societal needs. Education 3.0 recognizes that each educator’s and student’s journey is unique, personalized, and self-determined. In a heutagogical approach to teaching and learning, learners are highly autonomous and self-determined and emphasis is placed on development of learner capacity and capability. The renewed interest in heutagogy is partially due to the ubiquitousness of Web 2.0, and the affordances provided by the technology. With its learner-centered design, Web 2.0 offers an environment that supports a heutagogical approach, most importantly by supporting development of learner-generated content and learner self-directedness in information discovery and in defining the learning path (Blaschke, 2012, p. 56). Even though heutagogy is usually defined and described for adult learners, given these times where we are living with open education resources and information abundance , learners as young as the elementary level have the potential to engage in educational experiences based on heutagogy. In other words, they can engage in self-determined and self-driven learning where they are not only deciding the direction of their learning journey but they can also produce content that adds value and worth to the related content area or field of study. Decision-making is itself a learning process. Choosing what to learn and the meaning of incoming information is seen through the lens of a shifting reality. While there is a right answer now, it may be wrong tomorrow due to alterations in the information climate affecting the decision (para. 25). Use their learning preferences and technologies to decide how they will learn. Form their own learning communities possibly using social networking tools suggested and/or set up by the educator. Possible networks, many with corresponding apps, include: Facebook, Twitter, Edmodo, Instagram, Blogging sites, Youtube, and other social networks. Utilize the expertise of educators and other members of their learning communities to introduce content-related resources and suggest Web 2.0 and other online tools for that the students could use to demonstrate and produce learning artifacts. Take the initiative to seek feedback from educators and their peers. It is their choice to utilize that feedback or not. 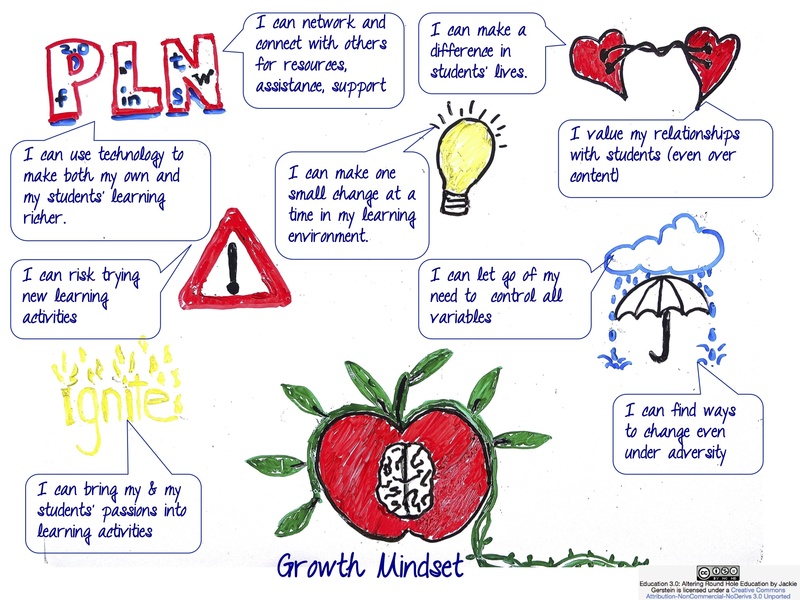 These are the symptoms, of a fixed mindset, of educators being both learners and teachers in an Education 1.0. Many educators feel forced into this paradigm of teaching. But, in reality, these are external obstacles whereby most of blame for resisting change is placed outside of educator responsibility. The result is a fixed mindset of learned helplessness, “I cannot change because the system won’t let me change.” Sometimes educators are creating some obstacles for themselves that in reality don’t exist. “Talking them into” or insisting on specific changes often creates more and stronger walls of resistance. A mental shift occurs when a fixed mindset which often leads to learned helplessness is changed to a growth and positive mindset, believing that there are options; that one can grow, change, and be significant. It becomes focusing on what can work rather than what is not working. This is not to devalue the obstacles that educators face. It becomes about noting where change is possible and making some small changes in teaching. Small changes often result in larger, more systemic change. The bottom line, though, is not is what is in the best interests of the teacher, the administration, or the politicians. It is what is in the best interests of the learner. The student should be central to education – not the content, not the tests, not the standards, not what we think students should know and do. Teachers did not become teachers to teach to the test, to develop practice tests or worksheets, to work with pre-scripted curriculum to meet standards. Teachers became teachers to teach students, first and foremost. The learner needs to be central to all teaching endeavors. Essentialism. (n.d.). Retrieved from http://www.siue.edu/~ptheodo/foundations/essentialism.html. Gerstein, J. (2013). Schools are doing Education 1.0; talking about doing Education 2.0; when they should be planning Education 3.0. Retrieved from https://usergeneratededucation.wordpress.com/2013/03/22/schools-are-doing-education-1-0-talking-about-doing-education-2-0-when-they-should-be-planning-education-3-0/ . Gerstein, J. (2013). Education 3.0: Altering round peg in round hole education. Retrieved from https://usergeneratededucation.wordpress.com/2013/06/09/education-3-0-altering-round-peg-in-round-hole-education/ . Hiemstra, R., & Sisco, B. (1990). Individualizing instruction. San Francisco: Jossey-Bass. Holmes, G., & Abington-Cooper, M. (2000). 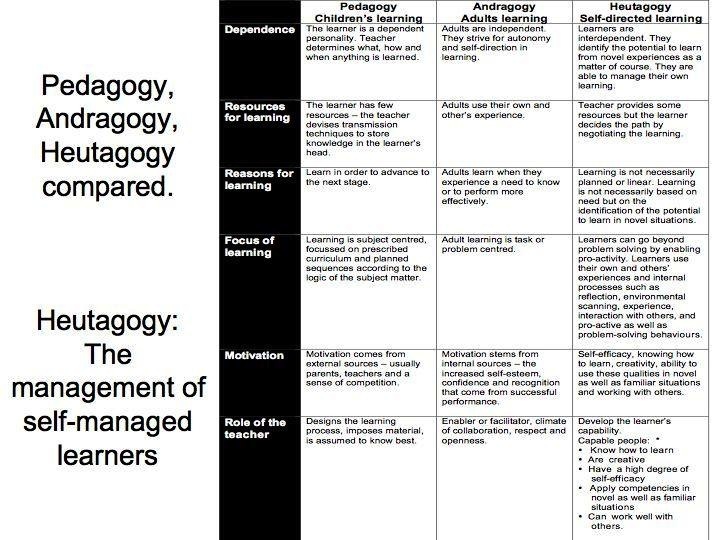 Pedagogy vs. andragogy: A false dichotomy? Journal of Technology Studies, 26(2). Retrieved from http://scholar.lib.vt.edu/ejournals/JOTS/Summer-Fall-2000/holmes.html. Keats, D., & Schmidt, J. (2007). The genesis and emergence of Education 3.0 in higher education and its potential for Africa. First Monday, 12(3). doi:10.5210/fm.v12i3.1625. Pogue, L.S. (2009). Instructivism vs, constructivism. Ezine @rticles. Retrieved from http://EzineArticles.com/1857834. Schachter, R. (2013, December). 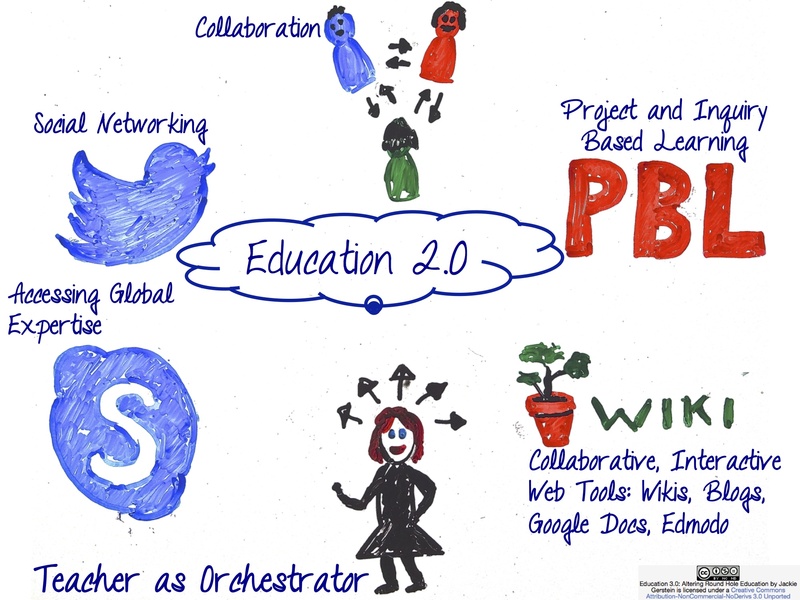 Schools embrace project-based learning 2.0. District Administrator. Retrieved from http://www.districtadministration.com/article/schools-embrace-project-based-learning-20. Siemens, G. (2004). Connectivism: A Learning Theory for the Digital Age. Retrieved from http://www.elearnspace.org/Articles/connectivism.htm. Strickland, J. (2008, March 8). How web 3.0 will work. HowStuffWorks.com. Retrieved from http://computer.howstuffworks.com/web-30.htm.